Brighten up your space with a fun, playful print that's equally at home in a modern sophisticate's loft as in a trendy teenager's bedroom. 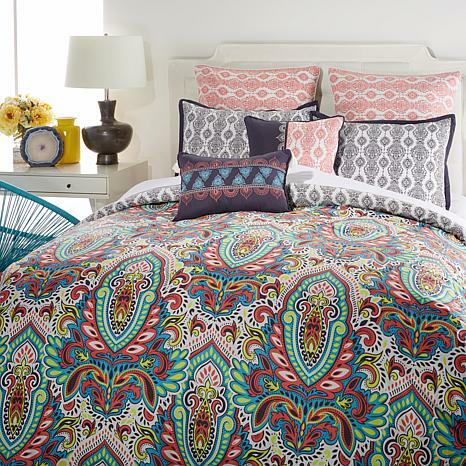 The warm, vibrant colors add energy to your room, and when you need something a little different, the comforter reverses to a meditative print. Inject some spirit into your life with this carefree set. Its a pretty pattern but its cheap and substandard quality. I have washed once following the instructions and the batting inside clumped and stuck together. 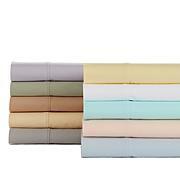 HSN used to be my source for quality bedding but unfortunately quality in bedding doesnt exist. Unfortunately this was KING was WAY to small for my bed. The comforter is very slim, so one may want to use another blanket with this item.